In December 1999, NASA launched the Terra satellite to collect climate data. It would be the first spacecraft in a fleet of 18 Earth-observing satellites that, over the last 15 years, have opened up a new era of exploration of our home planet. To celebrate, the space agency has compiled some of its most stunning gifs. The ozone layer acts like sunscreen for the Earth, protecting every living thing on the surface from the sun's harmful radiation. The 1987 Montreal Protocol banned the use of ozone-depleting chemicals, and satellite measurements have been essential for monitoring the seasonal appearance of the ozone hole over Antarctica. 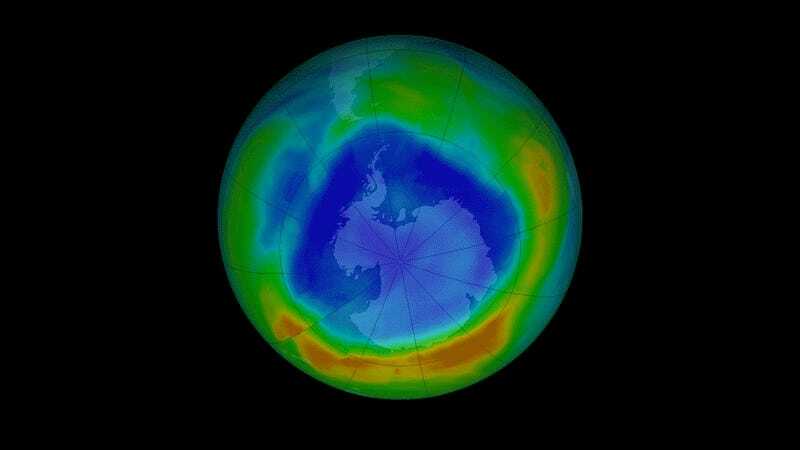 The Ozone Monitoring Instrument on the Aura satellite has witnessed the stabilization and earliest signs of shrinking that signal the hole in the ozone is on the road to recovery. A mountain range runs up the spine of the Antarctic Peninsula, while ice shelves flank it on either side. 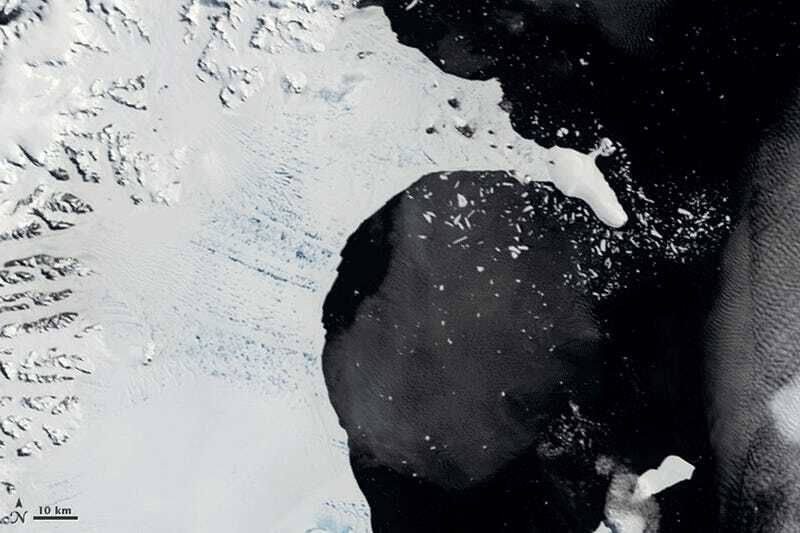 Over a period of several months in early 2002, Terra observed one of these ice shelves— larger than New Hampshire and Vermont combined— collapse and disappear, as large icebergs splintered off and floated away to sea. 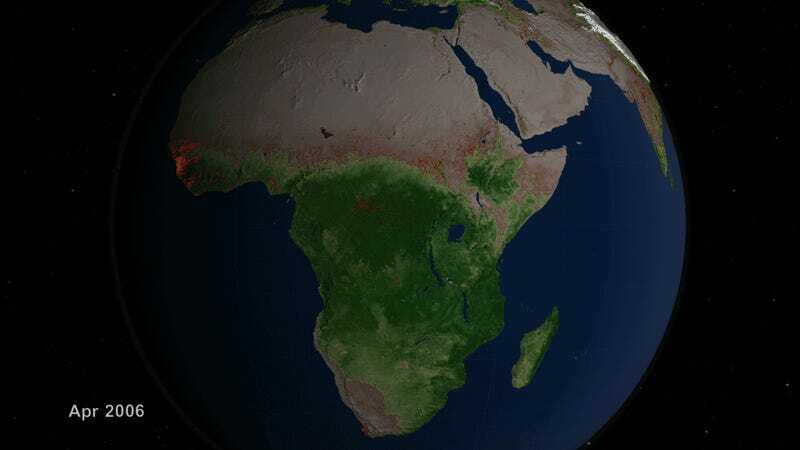 Ground-based sensors indicate that carbon dioxide in the atmosphere rises and falls in sync with winter and summer in the Northern Hemisphere. This cycle is linked to the photosynthetic activity of plants, trees and phytoplankton. But without a global view from a satellite, we'd never have seen a complete picture of what these fluctuations look like. The AIRS —Atmospheric Infrared Sounder— instrument on Aqua measured carbon dioxide a few thousand feet above the surface. 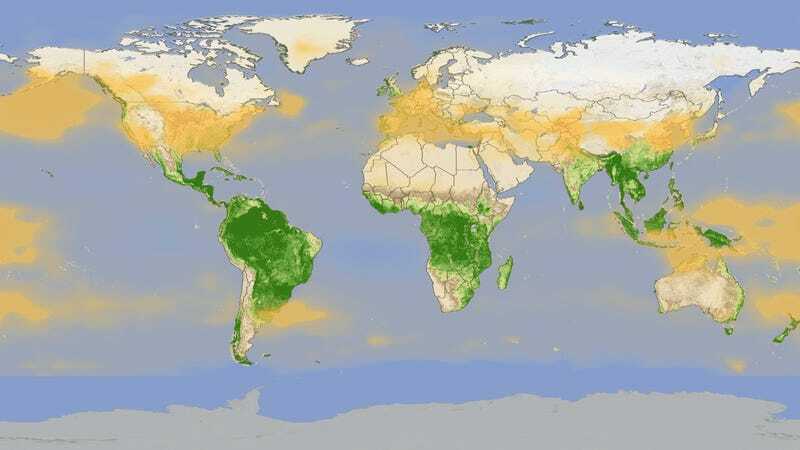 And a visualization of that data gave us a glimpse of exactly how the greenhouse gas is distributed around the globe and how its concentrations change with the seasons. See more gifs and images at the website of the Goddard Space Flight Center.